XOX Tourmaline Ring features classical elements with bold sculptural lines. 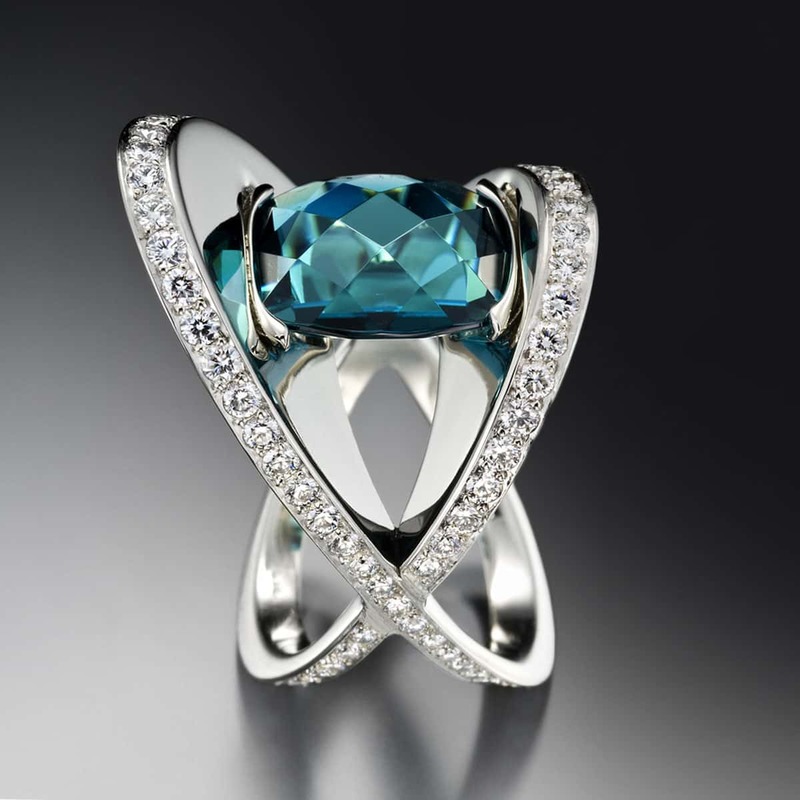 This unique ring design features a dazzling blue-green (indicolite) tourmaline with diamond accents set in white gold. Call (949) 715-0953 or use our contact form below for additional information.